One kilogram of resin waste can make three to four resin torches. Photo by Yos Katank. When Thy Vichet wants to light up the night, he often uses a resin torch. Torches come in handy when cooking or reading in the dark, when he wants to check his house or is on night forest patrol, says Vichet, 28, the father of two daughters who lives in the Sandan district, Kampong Thom province, of Cambodia. 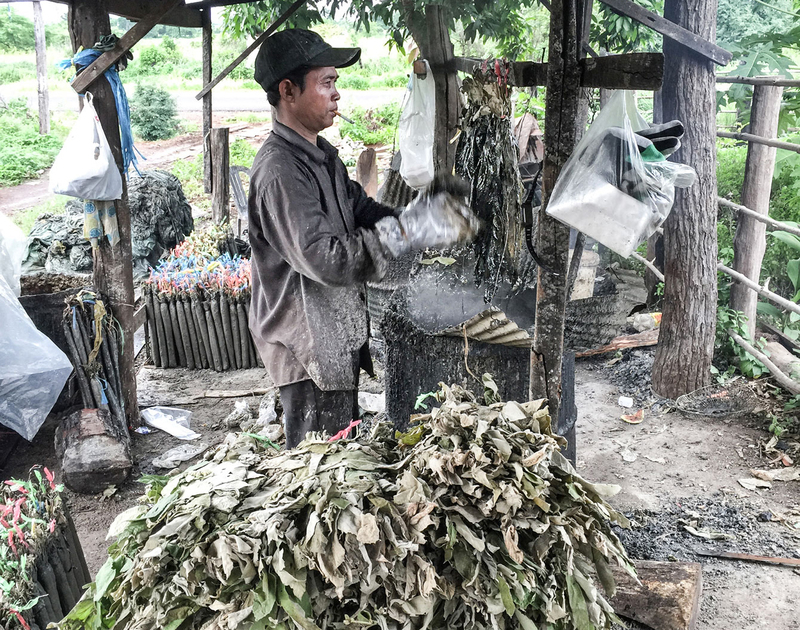 Vichet (pictured above) makes and sells the torches, too, buying liquid resin at a provincial market, filtering out the impurities and dipping fibers and leaves into the hot resin waste to make the torches. For $17 he can make 69 resin torches and sell them for 50 cents each, netting $17 per batch. Resin torches sell for the equivalent of 50 cents at the market. Photo by Yos Katank. 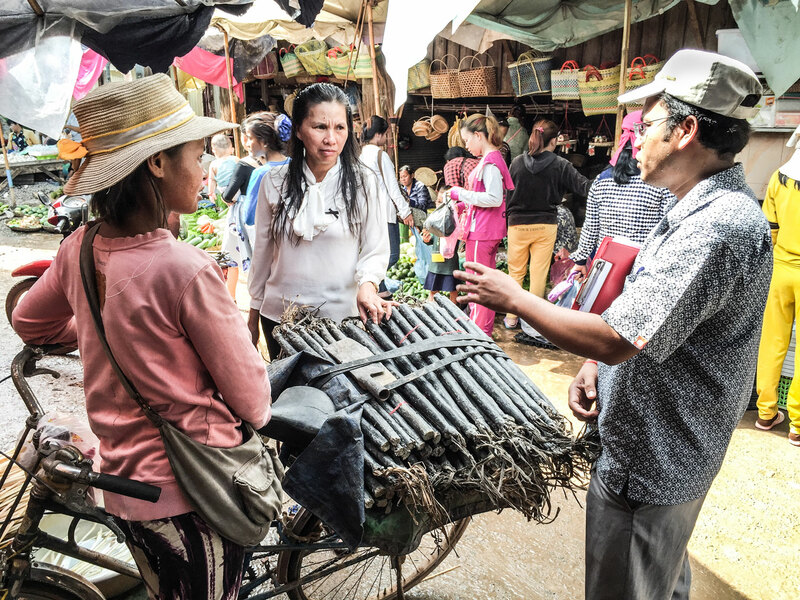 The USAID Supporting Forests and Biodiversity project, implemented by Winrock International, has taught residents of forest communities in Kampong Thom, Preah Vihear and Steung Treng provinces to produce this unique and highly sought-after product on a commercial basis. Torches boost incomes and provide sustainable illumination. The highest production of resin torches is in Oddar Meanchey province, where large-scale producers make 90 to 120 tons a month. The torches are sold to many provinces in Cambodia and Thailand.